The anodized aluminum framing system creates a modern, high-tech look while custom panel surface colors provide the ability to meet both appearance & functional requirements of almost any environment. Our Series 300 wall system closely matches the performance features of our OmniFlex system but features an anodized or painted aluminum stud construction. 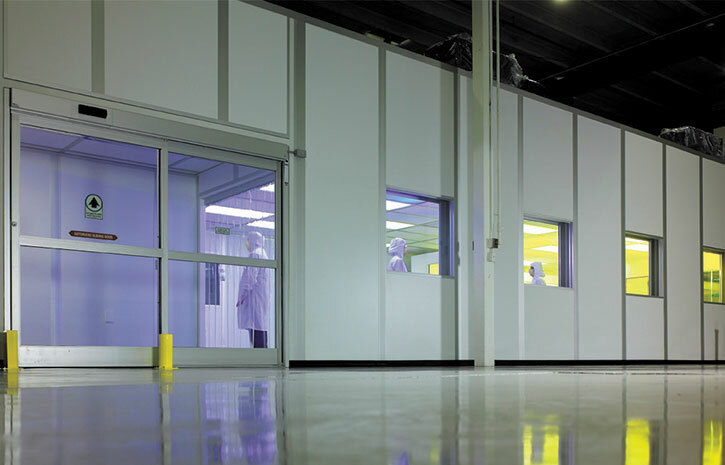 The system is typically specified for use in cleanroom applications and spaces that need to comply with food safety standards or other industry guidelines. When ever you change your plant layout, your modular building can change with it. Nonprogressive construction makes it easy to expand, modify or relocate these units. So, you save time and money in the future, as well as on your initial modular building environment. 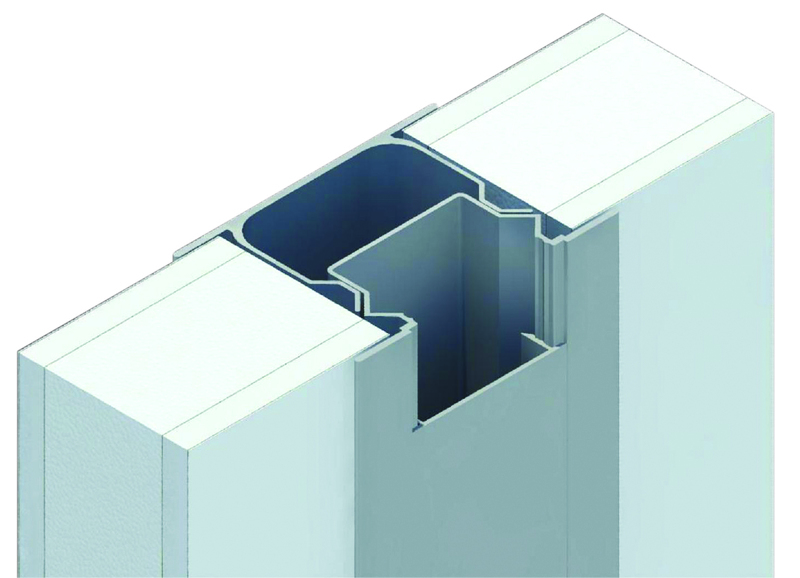 With stud sections that physically connect, Series 300 is one of the strongest load-bearing systems on the market. The patented aluminum studs provide strength. 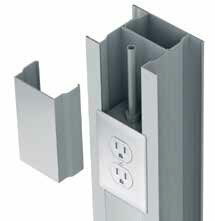 Aluminum stud construction with unique design that enables fast, easy assembly and provides quick access to wiring. Color coordinated panels and doors can complement the anodized aluminum or painted framework to bring a professional "front office" finish to any inplant building. Standard colors are champagne, gray and white. Optional colors can be ordered. Removable “snap-in” cover plate allows for wiring capabilities on both sides of the stud and easy inspection of raceway. 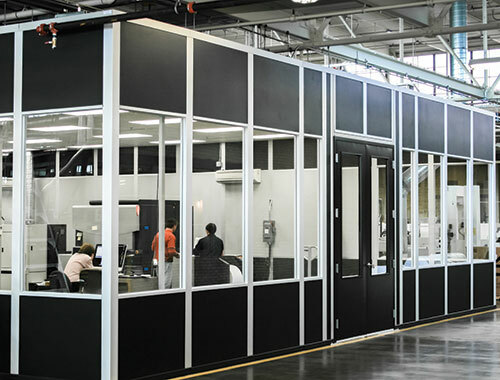 The Series 300 wall system is often used for creating standalone units like this ISO 7 cleanroom for medical device manufacturing. The load-bearing roof supports HVAC equipment and provides easy maintenance access. Electric: Wiring raceway for easy integration of electrical voice and data. Modular electric systems also available. Colors: All studs are anodized or painted aluminum that can be paired with wall panels in champagne, white or gray. Custom colors available upon request. Series 300 modular buildings offer quality, appearance and cost savings that make conventional construction obsolete. They are completely re-usable so your modular building can grow with your business. You save time and money in the future, as well as on your initial investment.